This work represents a path I’ve taken to hone my own visual language. Skeletons represent the vulnerable and evolving human spirit in its path of development. The skeleton represents the spirit witnessing both its progress and the state of the world. Also here are selections from the series In Seeing the Eye Disappears, variations on the theme of light and mind, and other assorted works. 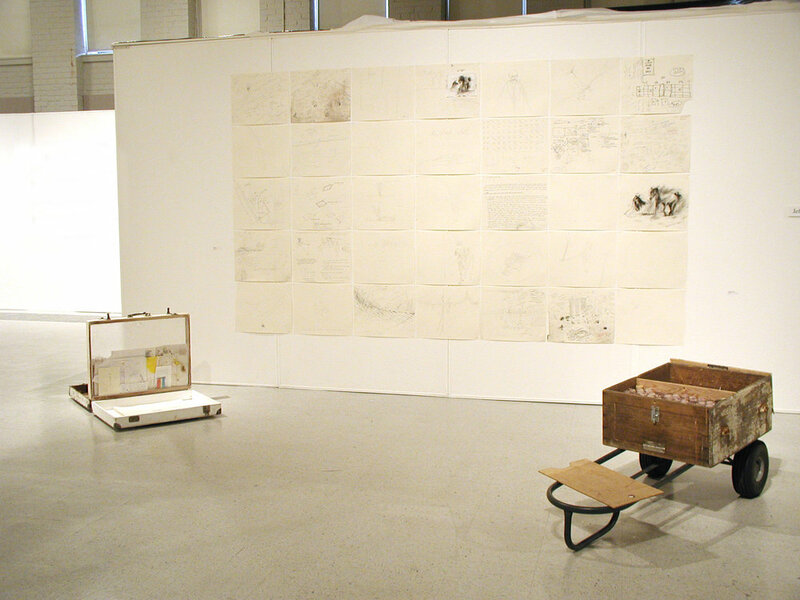 My works from my MFA years include performance, video, digital works on paper, photography, drawings, painting, sculpture, and outdoor installations. A few works that helped me build confidence and direction in my formative years. Consistent themes here: spiritual maturation, different worldview, death and resurrection, suffering and grace.